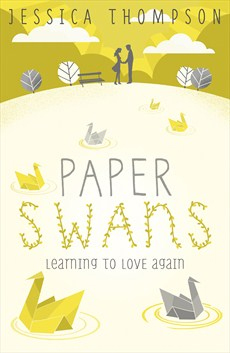 The first giveaway is for a paperback copy of Paper Swans by Jessica Thompson. I am absolutely in love with the cover, the picture doesn't do it justice but there are little foil details on it as well. As a result my copy has been stroked extensively, but don't worry the one I am giving away has not been! • Giveaway closes Thursday 28 August at 11.59pm. • Open to UK residents only (sorry, postage is expensive!). • Only those who retweet the Tweet linked above will be entered (manual RTs or copied Tweets do not count). • The winner is selected at random and will be contacted on Twitter within 48 hours after the giveaway has closed. This giveaway has now closed, the winner is @BookAddictUK!